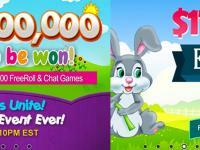 Play a $1,000.00 FREE Bingo Games every Friday at 11:00PM ET in the Bingo Tourney Room. 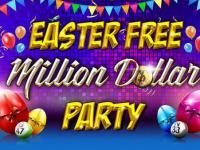 The Game consists of a guaranteed pot of $1,000.00 and the bingo cards are absolutely for free! 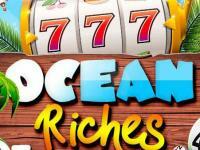 Each player can obtain a maximum of one hundred and twenty (120) bingo cards without paying anything and win a prize of $1,000.00. 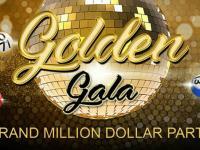 Themed with Fantasy Patterns such as Genies, Fairies, Wariors and Dragons… within the Fantasy Bingo Tourney players have four (4) opportunities to win $1,000.00. The Tourney plays every Saturday starting at 8:00PM ET and the $1,000.00 Guaranteed Games play as Top of the Hour games with a Card cost of just $2.00 each. 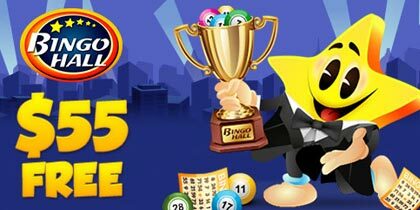 The Fantasy Bingo Tourney takes place in the Bingo Tourney Room. Fair ‘N’ Square Bingo Games will play every Tuesday, Wednesday and Thursday in the Diamond Room starting at 6:00PM ET for two (2) hours Non-stop. Fair ‘N’ Square games consist of a multi part pot of $5/$20/ $75 and will sell bingo cards at $0.30 each. What makes these games Fair ‘N’ Square is that each player is only allowed to buy a minimum and maximum of twelve (12) bingo cards and therefore each player will have the same amount of bingo cards as the other players which makes the games Fair ‘N’ Square. 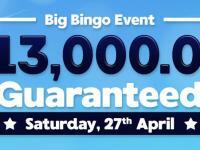 The Bingo Freeroll is a Bingo Room which offers players FREE Bingo games all day and on every day of the week. Three (3) FREE games per hour which are Multi-part $10-$10-$10. The rest of the games are Starting $25 bingo games with a card cost of $0.50 each. 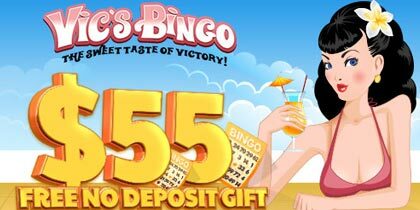 In addition to the above, all pay games have a FREE bingo cards promotion of Buy 5 Get 2 Free. Therefore each player that selects to buy seven (7) cards will only be charged for five (5). The Bingo Freeroll room is open every day of the week from 1:00PM ET until 11:00PM ET.